When I realized this was the third book in this series, I was surprised that I did not know about the first two in the series. Shelley Shepard Gray is an exceptional writer. Her stories are easy to follow and she eloquently expresses the feelings of the characters whether negative or positive. It was easy to understand Elizabeth’s confusion as to Randall’s feelings toward her. She had far more maturity than Randall. Randall seemed to be short sighted, which is comprehensible in the way he felt so much responsibility for his siblings. He believed he did not have time for romance and dropped Elizabeth without being able to explain with honesty his purpose in doing so. In my estimation, he made thoughtless decisions in many areas as well as being insensitive toward Elizabeth as well as his siblings. Elizabeth put her whole heart into caring for her grandmother. Since her mother had remarried after her father’s death, she seemed to leave Elizabeth to her own devices to earn money enough to care for herself and her grandmother. Randall’s brothers devised a plan to bring Randall and Elizabeth together, hopefully reuniting them and help Elizabeth earn money. Elizabeth’s patience with Randall and willingness to do her finest job is to be marveled. Frankly, I lost patience several times with Randall and wondered what Elizabeth saw in him in the first place. The two sub-plots were interesting, but I felt a bit frustrated whenever we were drawn away from Elizabeth’s story. Although I could identify with Judith and Ben wanting to adopt James as their own child – I have three adopted children and could never give either of them up – I had empathy for James’s mother as well. Pippa’s story was sweet and not long, but there was more I would have liked to learn about her and Bud’s story. Perhaps Ms. Gray has in mind another story for her in the future. Overall, I liked this story very much. There are a lot of surprises and definitely much soul searching. Ms. Gray’s imagination proved lively as she added fun and on again, off again chances for romance between Elizabeth and Randall. You will need to read this story for yourself to find out all the answers you want to know. You will fall in love with Elizabeth’s grandmother and her expressions of wisdom. Particularly interesting are the discussion questions at the end of the book. Even though I had not read the first two books in this series – Joyful is a stand-alone story. Is there real joy in the end? That’s for you to find out. I am so thankful that God gives writers such splendid inspirations to write about. 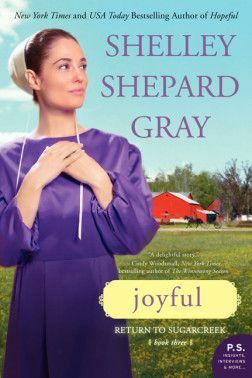 You will never be bored with a book written by Shelley Shepard Gray! “It’s just a dream,” Melissa Smith whispers as she stares into the intense eyes of a man dressed in Colonial clothes, as though stepping out of an American Revolution movie set. A school chaperone with Holmes Hole Elementary, she’d boarded the old schooner Shenandoah for a weeklong educational sail. But they aren’t visiting Plimoth Plantation, the Boston Tea Party Museum, or the Concord Bridge reenactment. They’re sailing the waters around the island of Martha’s Vineyard. Yet, when she awakes in Cabin 8, the captain claims to be Isaiah Reed, who sailed the original Shenandoah in the eighteenth century. He cannot possibly be real, Melissa thinks. And traveling back in time is impossible. But days pass, and she’s still in 1770. What if Isaiah, who is simply too handsome to be real, is real? What if the fire he ignites in her from barely a touch isn’t in her imagination? Can a dream last for weeks on end? If so, how will she find her way home…to the twenty-first century? And can she bear to leave the one man who has captured her heart, when everything in her longs to stay? “WOW, I thought as admired the covers of all three books in this series – they are lovely.” That was before I read the book description on the back cover and noticed it said Melissa traveled back in time. This reviewer is not a fan of time travel novels, but I love history. Being a land-lubber all of my life, I was not familiar with boats of any kind. My family did sail on the SS United States when we returned from Germany ending my husband’s military assignment in Germany in 1962 – but all the terminology about sailing was foreign to me – especially on a schooner as large as the Shenandoah. Like Spike, Melissa’s cat – I was unsure about what to expect on Melissa’s trip on the Shenandoah, but instead of complaining, began reading anyway despite my views of time travel. During the first few chapters I was getting acquainted with Melissa Smith, who was enjoying being single after divorcing her abusive husband. She had no intention of becoming romantically involved again – if ever! She was well liked by the Holmes Hole students she taught and excited about spending her fifth summer as chaperone on the annual Shenandoah trip for the graduating fifth graders from each of the five island elementary schools. Being a camera buff, she took many pictures of each trip and used them for making note cards as well as scrapbooks for each class. On her way to board the Shenandoah Melissa contentedly thought about this two-hundred year old wonder that had been reconstructed and remodeled before Melissa was born. It had been purchased by Captain Roberts in 1958 and now was a sleek tall ship with a black hull and long masts. This year Melissa was staying in Cabin Eight, the only cabin which was left in its original state. The first night Melissa had a vivid dream about a person named Adam replying “Ye must be relieved the Townshend Act has been repealed.” Followed by a reply, “Aye, Adam, we must all be grateful, though the cost was dear. Five men, five families. I fear the violence has only yet begun.” She had the sensation of falling….falling into a black hole. I think that is as far as I will take you because now it really becomes interesting. I will tell you that Melissa endures these dreams for two nights and wakes up in 1770 aboard the original Shenandoah and the story becomes intensely attention-grabbing. Okay, okay….now I am a fan of time travel! Not wanting to give any spoilers, I won’t tell you about Melissa’s life in the 1770’s – you won’t be freaked out…but you will enjoy a history lesson well researched by Ms. Lisa Belcastro and cleverly turned into twists and turns that I totally believed. Faith in God was as real in 1770 as it is today. Melissa said her prayers often before 1770, but besieged God with frequent prayers after falling through the black hole. I will confess her prayers became confusing then….she was not sure for what to pray! The ending was unexpected. Lisa Belcastro did an exceptional job with this third novel and now if you will excuse me – I must read the first book in this series, Shenandoah Nights. I’ll be back in November to report on that novel. In the meantime, keep reading and thank God for writers like Lisa Belcastro. 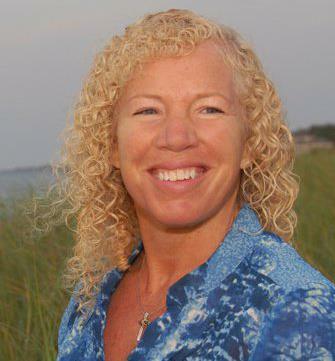 Lisa Belcastro lives with her family on Martha s Vineyard. She was inspired to write Shenandoah Nights, the first in the Winds of Change trilogy, while chaperoning her first of two school summer trips with her daughter, Kayla. The weeklong adventure, sans electricity, Game Boys, iPods, and modern conveniences, kindled her imagination to dream of an altogether different voyage. Lisa pens the cuisine column for Vineyard Style magazine. She has worked as a staff and freelance reporter and photographer for The Chronicle of the Horse and as assistant editor at The Blue Ridge Leader. 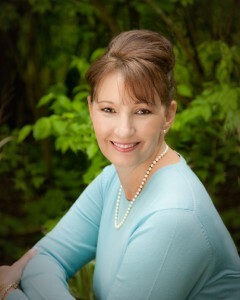 She has written articles for USA Today, Dressage (London), USA WEEKEND Magazine, The Blue Ridge Leader, and Sidelines.